We post about Automatic Persona Generation, Data-Driven Personas, Persona Analytics… All Things Personas! This review has been co-authored by Willemien Froneman, Joni Salminen, and Jim Jansen. In the second edition of Personas – User Focused Design, Dr. Lene Nielsen describes a detailed method for implementing personas in development and innovation projects. Dr. Nielsen has pioneered the use of personas in user experience and has more than 20 years’ experience in the field. In addition to writing numerous research articles on personas, she has led masterclasses and workshops and has worked in industry and with government agencies for deployment of personas. Her practical and theoretical experience has culminated in the formulation of “10 steps to personas” – the method outlined and explained in this book. The book is aimed at managers and team members who are looking to start implementing the persona method in product and service development, and at students who wish to use the method in their projects and who need to be familiar with the practical implications of the persona method as well as its theoretical foundations. The book starts off with a premise that will be familiar to UX designers: the centrality of user experience in product and service development and the need for placing the everyday experience of users at the centre of the design process. As opposed to other approaches to UX design, the persona method uses fictitious representations of users rather than real users in the design process. A persona is a user who does not exist but is described as someone who could be real. Although personas are fictitious they are derived from knowledge of multiple real users. According to Nielsen’s definition, one can think of personas as condensing knowledge of user segments into a format that is memorable and evokes empathy. The benefits of the persona method are described throughout the book. Nielsen argues that the persona method not only offers unique insights into user needs but, perhaps more importantly, provides a common language that designers and project participants can draw on when developing products and services. In this sense, personas may be thought of as a communication method: persona descriptions aim at getting all team members involved in the design process on the same page in terms of who the users are. Additionally, it allows for team members’ implicit assumptions about users to be made explicit and opens up the possibility of revealing findings that go against an organization’s pre-existing truths. Chapters 2 and 3 cover data collection and analysis. After a brief overview of common qualitative and quantitative methods of data collection, Nielsen describes a mode of qualitative data analysis for developing hypotheses which culminates in choosing the number of personas. The first stages of data analysis (coding and thematic analysis) are derived from grounded theory. The next stages attempt to understand the data by comparing and contrasting the thematic units. The methods used are contrasting pairs (where user experience is plotted against two opposing variables), affinity diagrams (where the relationships between clusters of thematic groups are considered) and systems of coordinates (where categories emerge through combining relationships and contrasts into a single model). These categories form the basis for determining the number of personas to be included, and common denominators in each category (age, education income, attitude) are included in the resulting persona descriptions. Nielsen also covers how generalizability, reliability, and validity of the persona profiles can be assured. Generalizability is achieved through argumentation and comparison to existing material, and validity by controlling the data and asking for feedback on the interpretation. Reliability is ensured by describing the data collection and processing in an accurate and transparent way. This is particularly important when the findings are resisted within the organization. When management is given access to the analytic process, they often understand and accept the results. Chapter 3 ends with three case studies of how the final number of personas are chosen. As Nielsen points out, secondary personas not directly derived from the data are sometimes included for strategic or political reasons. For example, in the process of developing a digital self-service solution for Borger.dk, the list of personas were expanded to include a non-Danish-speaking persona, while the persona description of another was adapted to cover users who are physically handicapped. Chapters 4 and 5 focus on the actual writing of the persona and scenario descriptions. Whereas the earlier chapters might have come across as slightly cursory and generic, Nielsen’s experience in the field starts to shine through as the depth and applicability of the personas method become apparent. Nielsen’s approach to writing persona descriptions and scenarios is firmly rooted in narrative theory, which posits that stories and narratives are basic human strategies for coming to terms with human experience. As opposed to stereotypes, which depict users as “flat” or one-dimensional characters, and archetypes, which tend to define personality types in negative terms, the persona approach aims to create “rounded” characters who have multiple characters traits and are able to view the world from different perspectives. In order to create these rounded characters the persona method turns to fiction. Script-writing techniques are used to bring out the tension between clashing character-traits. Nielsen uses the character descriptions of “Thelma” and “Louise” to illustrate effective persona descriptions. These chapters also provide templates for persona and scenario development that clearly set out the most important narrative elements to be included in each. “Personas in Agile” and “International Personas” are new additions to the second edition. In Chapter 6, Nielsen presents some preliminary research on how personas can be incorporated into agile software development. It is suggested that personas are helpful in creating user stories, but the short chapter does not fully consider the possible implications of bringing these two fields together. Chapter 7 considers the challenges of conducting international user research and the difficulties of avoiding cultural bias when creating the personas. International user research is difficult to coordinate and expensive to conduct and communication and cultural barriers often prevent accurate insights. In Japan, for example, the clothing brand UNIQLO is considered to be lower-end, while in the rest of East Asia the brand is a status symbol. International user research is further complicated by the opposing meanings of the term “culture” in the theoretical literature. Nielsen advocates for understanding culture as a set of practices instead of a fixed entity and notes that problems around stereotyping can be avoided by adopting this meaning. However, because personas inevitably rely on generalizations about race, ethnicity and cultural background, stereotypical characters traits (often perceived as offensive) can inadvertently emerge. Another problem is that users of personas bring their own cultural prejudices to the interpretation of personas. This emerged clearly in a study by Salminen et al. (2018), which considered the use of contextual images in personas to counter cultural bias. Whereas more contextual images generally provided better insights, they also allowed more opportunities for misunderstandings based on cultural bias. Chapter 8, written by Salminen et al., outlines a method for generating personas through big data analysis. Presenting the cutting edge of research in persona development, the aim of the automatic persona generation (APG) method is to make large volumes of user analytics accessible to users in the form of personas. 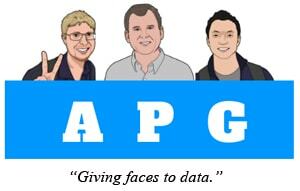 APG analyses user analytics to create different segments, associates these segments to demographic data, and uses photos and other supplementary material to generate rich descriptions of personas without compromising the privacy of individuals users. By combining the personas method with big data, APG addresses one of the perennial problems with user analytics: how to turn data into insights about the customers. By suggesting an automated alternative to qualitative persona development, this chapter addresses an aspect that is somewhat lacking in the rest of the book – the practical limitations of manual persona generation methods. Automated persona generation methods have distinct advantages over manual methods: they are quicker to complete, draw on large bodies of information, and can automatically update without having to complete the entire analytic procedure. At the same time, the human factor that makes the traditional persona method so effective – avoiding bias, using appropriate and non-offensive language, and creating fluent and readable narratives – remain unmatched in APG. The authors argue that the strength of each approach can be used to address the shortcomings of the other. The chapter summarizes the issues that remain unaddressed into a research agenda for future studies on APG that is suggested to have a significant impact. Personas – User Focused Design provides a useful introduction to the persona method and its potential benefits to design organizations. The book is highly readable, gives several examples of successful and less successful persona descriptions, avoids jargon, and gives clear explanations of the key concepts and processes involved in persona development. Professionals already familiar with the technique might, however, find the content slightly limited. Nielsen has made a major contribution to the understanding of user experience through personas. Her deployment of fictional character development and narrative techniques and devices in communicating personas and scenarios are particularly enlightening. However, the method is encumbered by its time-consuming nature and lack of flexibility when it comes to rapidly changing user profiles. In the fast-paced world of user sentiment analysis, the human-computer interface presents the next frontier. It remains to be seen how Nielsen’s research on narrative and fiction might be incorporated into machine learning methods for generating readable persona descriptions that arouse empathy and avoid bias and offensive language. How can I use a persona for customer segmentation?